Laurel Mountain is located 9 miles east of Ligonier and just off US Route 30 (Lincoln Highway). There are miles of classic cross country trails on Laurel Mountain maintained by the Nordic Ski Patrol group along with DCNR. The trails wind through the woods and are easy to moderate. Nowhere will you go careening down the side of a mountain but you may encounter a short steep section here and there - Novices can easily walk down. On Loop Trail you will encounter a sign to the downhill slopes. A nice ski, but unfortunately the downhill lodge and slopes are not open. There have been rumors for Seven Springs to open the facility, but when and if are uncertain. 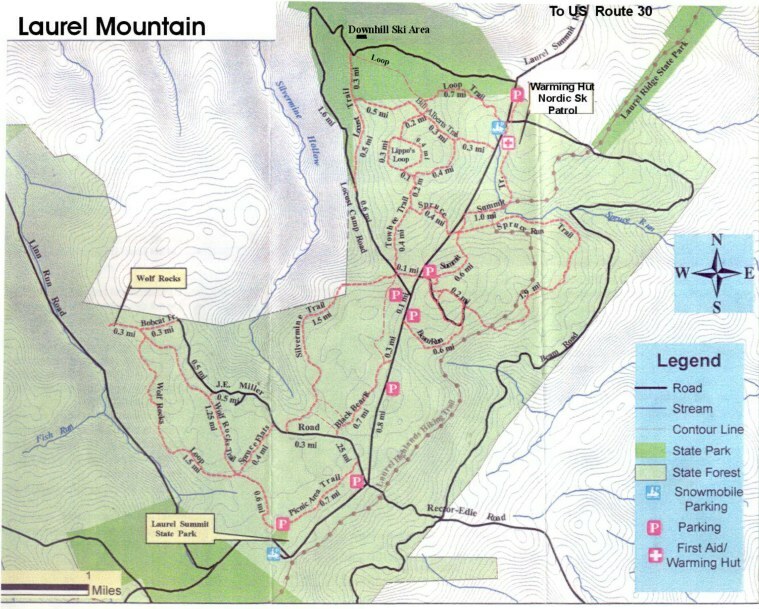 The high elevation of Laurel Mountain usually results in a lot of snow, but due to the rocky nature of the area it takes a lot of snow on many trails to ski effectively. 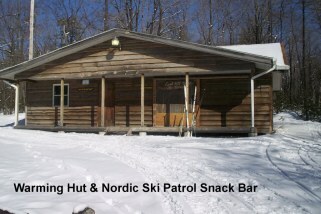 The warming hut has a snack bar staffed by the Nordic Ski Patrol group on skiing weekends. otherwise the main part of the building is open to rest and warm up.